House Speaker Paul Ryan says he will leave office in January "proud of what this congress has achieved" as Ryan's office announced he will not be seeking re-election in 2018. He will, however, serve out the rest of his term. "I am not resigning," Ryan declared. He added, "I am leaving the majority with what I believe is a very bright future." "I think we've achieved a heck of a lot. We all know that I did not seek this job, I took it reluctantly but I have given this job everything that I have," said Ryan at the press conference. He said he had "no regrets" for having accepted the responsibility of the speakership. Ryan cited being with his family, namely his children as reason for wanting to leave office. He said it's easy for the speaker role "to take over everything in your life and you can just let that happen, but there other things in life that are fleeting as well." He added, "My kids will only have known me as a weekend dad, I just can't let that happen." Many speculated that Ryan would depart political office after helping successfully champion a rewrite of the U.S. tax code. Ryan's office, however, had denied the speculation that he was leaving anytime soon. Ryan spokesperson AshLee Strong told CBS News last week, "The speaker is not resigning." As for questions into who would take over Ryan's role, the speaker said he had "great confidence" in the leadership team but it was "not the right time to get into that" at the moment. 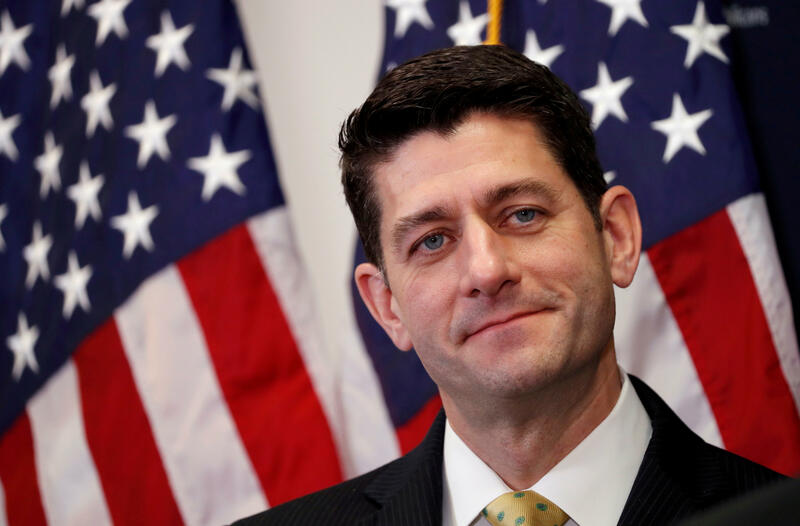 He added, "That election's in November, it's not something we have to sweat right now"
Ryan reiterated that he would be staying on as speaker and expressed little concern for the Republican's control of the House. "If we do our job as we are, we're going to be fine as a majority."